Another day, another member of the Trump administration leaves. 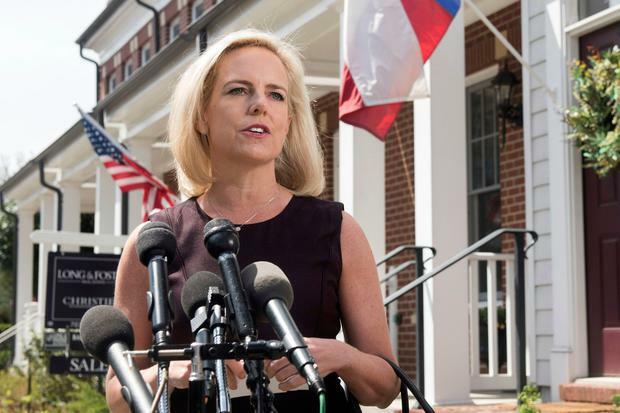 The latest departure is Donald Trump’s Homeland Security Secretary, Kirstjen Nielsen. Summoned to the White House, Ms Nielsen reportedly didn’t have any intention of quitting – but Mr Trump wanted her out and so she “resigned”. Ms Nielsen became an increasing indirect target of Mr Trump’s railing about the chaos at the Mexican border with the president promising to get “tougher”. Nielsen’s sin, it appeared, was to inform the president federal laws and international protocols limited her ability to do whatever he demanded. Mr Trump’s dismissal of Ms Nielsen raises the question of how he expects to do anything “tougher”. She has the legacy of enforcing his strict family separation policy. It’s difficult to imagine anyone coming in and being more stringent. If anything, it shines a light on just how deluded Mr Trump is in relation to the operation of the federal government. At best, one can say the government moves methodically and can’t deal with his impetuous moves that zig, then zag, move forward and back just as quickly. Mr Trump’s penchant for acting on impulse is part of the reason his administration is in such tatters a mere two years after he was sworn in. Ms Nielsen’s departure marks at least the sixth time – not counting those who moved from one role to another – a cabinet secretary left the administration after being forced out, fired or resigning. If the public has learned anything from Mr Trump’s first two years, it is that he doesn’t have patience, a necessary requirement when making sweeping changes to policy.